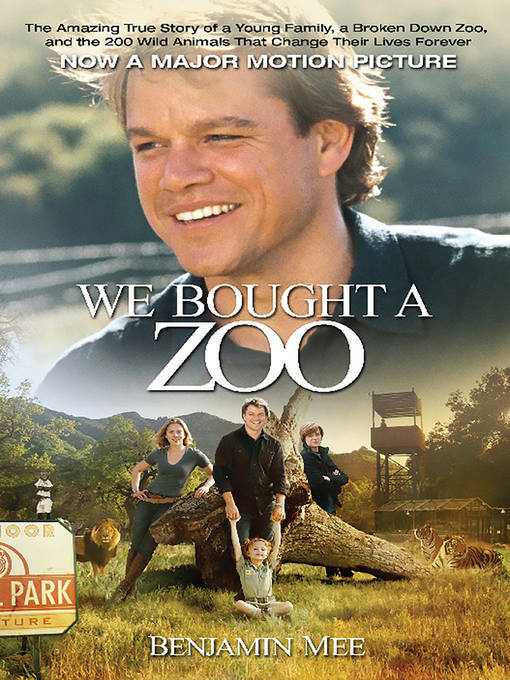 When Benjamin Mee decided to uproot his family and move them to an unlikely new home—a dilapidated zoo where more than 200 exotic animals would be their new neighbors—his friends and colleagues thought he was crazy. Mee’s dream was to refurbish the zoo and run it as a family business. The grand reopening was scheduled for spring, but there was much work to be done and none of it easy for the novice zookeepers. Tigers broke loose, money was tight, the staff grew skeptical, and family tensions reached a boiling point. Then tragedy struck. Katherine, Ben’s wife, had a recurrence of a brain tumor, forcing Benjamin and his two young children to face the heartbreak of illness and the devastating loss of a wife and mother. But inspired by the memory of Katherine and the healing power of the incredible family of animals they had grown to love; Benjamin and his kids resolved to move forward, and today the zoo is a thriving success.